we believe that good teaching is democratic, progressive, provides desirable and selective information, helps the child to adjust himself to his environment and leads to emotional stability. Keeping an aim of Building strong and self-dependent citizens this esteemed Institution has been built up. No matter what you dream for, once you are in MIND MASTER ACDEMY your dream is ours too. And the struggle to get your desired dream will be shortened. Today’s competitive world keeps on changing. This makes a strong training more essential than before. Mind Master Academy can help you lay the foundation for a successful career. Once you are in Mind Master Academy, you will learn ‘How to be the master of your mind, not a slave of it anymore. We have designed and developed our programs to create a comfortable and stimulating learning atmosphere combining it with the latest teaching techniques to deliver results. Regardless of your background The Mind Master Academy provides a strong platform for Tuition For CBSE India, IGCSE Pattern, SAT/ACT coaching, NEET/JEE Coaching, IELTS Training, Computer Courses and training in Tally. 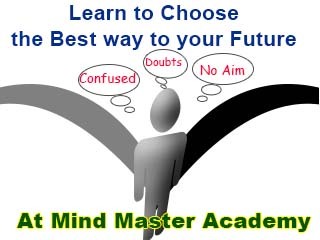 MIND MASTER ACADEMY Doha welcomes all sincere students who target for CBSE India, IGCSE Pattern, SAT/ACT coaching, NEET/JEE Coaching, IELTS Training, Computer Courses and training in Tally who strive for success in academics & career. 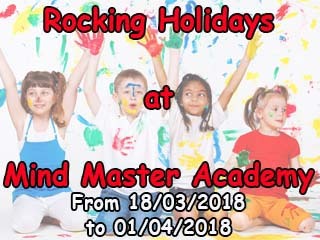 Mind Master Academy ensures to be the ultimate institute for you if you are among such sincere students; together, we will learn for Life and will gain the Skills for Success.